This time of year, around St. Patrick’s Day, there are always sneaky little leprechauns looking for gold. 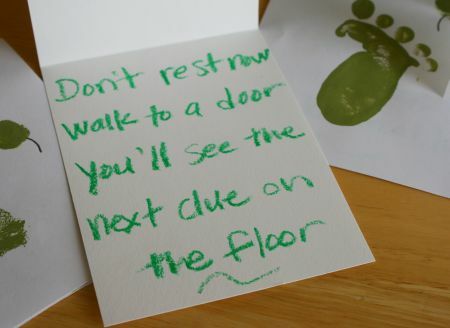 So we made these Green Footprint Clue Cards to help lead them on a hunt! 1. 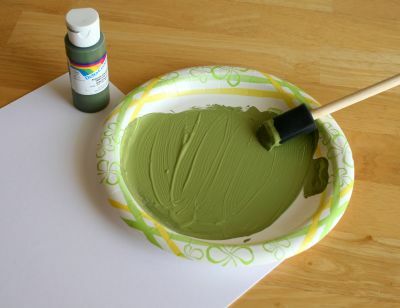 Pour the paint onto the paper plate and spread it around with the paint brush. 2. Get your paper ready. 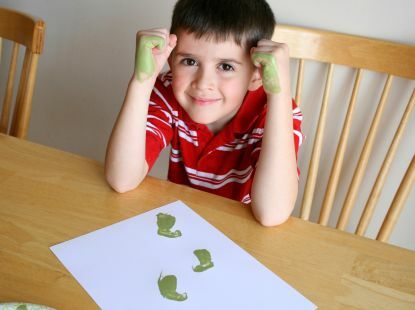 We practiced on big sheets of paper first, then we stamped our hands onto cards for the clues. 3. Put your hand into a fist and dip the bottom of it in the paint. Then stamp the paper with your fist. You can just do one hand or two hands for a right and left footprint. 4. 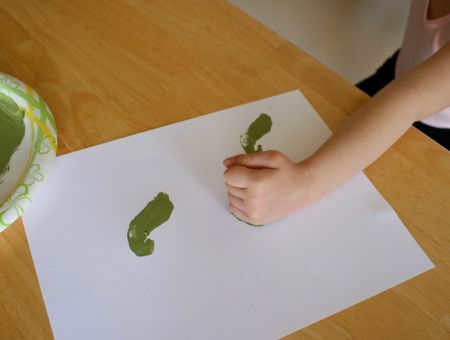 Now put one of your finger tips into the paint. Stamp your finger onto the paper, just above the fist print. Stamp your finger 5 times for 5 toes. 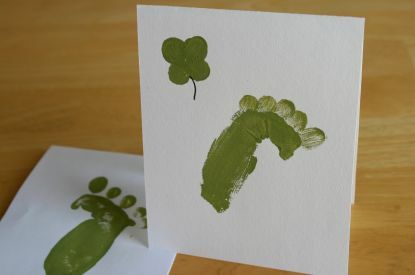 After we made the footprints onto cards, we also made little fingerpaint stamped clovers. My son suggested that we number our clue cards by the number of leaves on the clover. 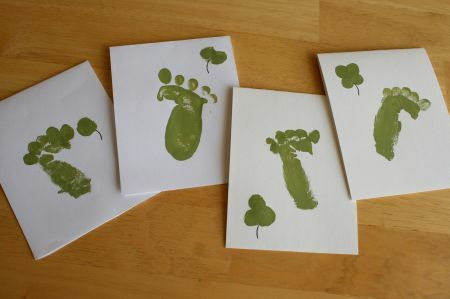 So we have 4 cards each with a number of leaves on it’s clover! We also made these fun Leprechaun Ears again to wear as we wait to see if those sneaky Leprechauns come to find our gold!! You’re such a cute mom, I love this idea! great, fun idea. the kids love to “hunt”, so this is a must do:) thank you. Great idea! My 5 year old suggested making them microscopic to “fool” the Leprechaun. 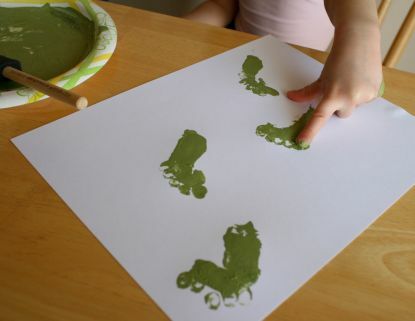 What an adorable craft!! I am going to have to remember this or next year!! I love it!